(Ryan Harvey) Democrats Are Guilty Too! 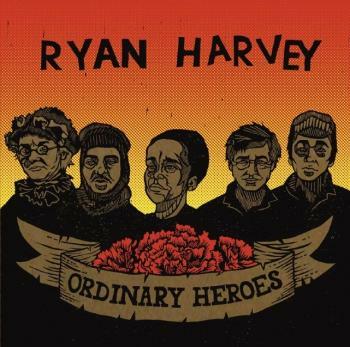 In 2011 Ryan released Ordinary Heroes album, dedicated to Howard Zinn. Ordinary Heroes' title track was written after the passing of the historian/activist Howard Zinn and the album was shaped around this theme. It is an album about confronting challenges, overcoming hardship, and finding the perspectives needed to stay strong in hard times as an actor for positive change. Proud to stand behind these values –We're world changers..
What you have to do for the smallest things..
And the madness that it generates –We're world changers..